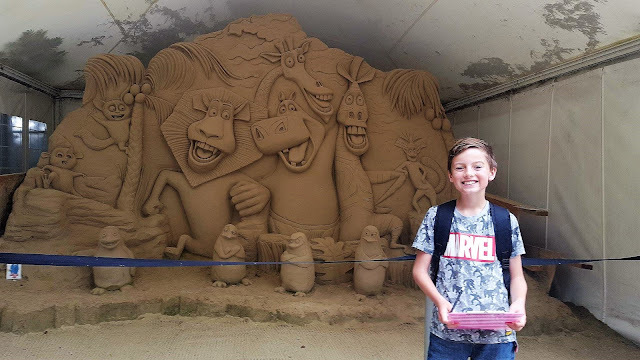 I really think sand sculptors are so talented so as a family we were eager to visit Sandworld during out stay in Weymouth back in July. It's quite a small attraction really, it doesn't take long to make your way around the exhibits but I think it's still worth visiting if you are in the area. It cost us £19 for our family of four which is a reasonable price for the length of our stay. I think we spent two hours in total in the attraction, you can pay a bit more and fill a bottle of your choosing with colourful sand but we had a pretty full agenda planned for our weekend in Weymouth so skipped that section. The boys completed a fun facts quiz each and were awarded with a sweet for their efforts which was a nice bonus! They stuck to the easier questions where you can find the answers from the information boards. It's a great way to learn lots more about the sand sculpture on display. They also counted the number of Nemo and Dory's hidden around the attraction. So with both of these activities the boys were happily entertained. My favourite sand sculpture was the Bengal Tiger by Rachel Stubbs which took 10 days to complete. It's the first time she has painted one of her sand sculptures. 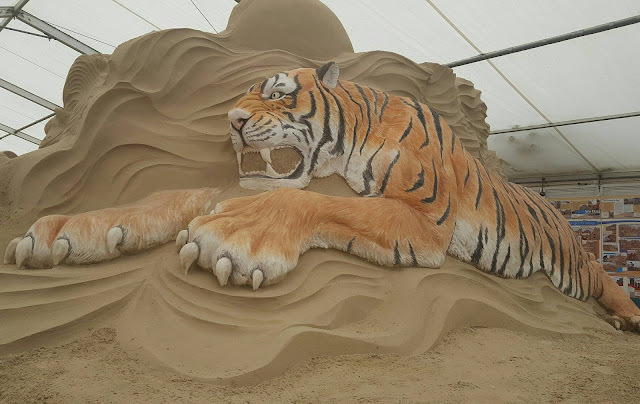 The sand sculptures are really incredible to look at, I was in awe of everyone's ability. Before leaving the boys spent some time making sand minions in the have-a-go sand pits. There was a helpful lad on hand telling us how to get the sand the right consistency for our project. The staff at Sandworld all seemed very friendly. There were lots of tools to use, moulds, spades and buckets in the sand pits and it was a good size space so plenty of room for everyone to get building. At eight and ten my two were in their element here and I think they would have spent even longer given the opportunity! But we had more of Weymouth to explore. 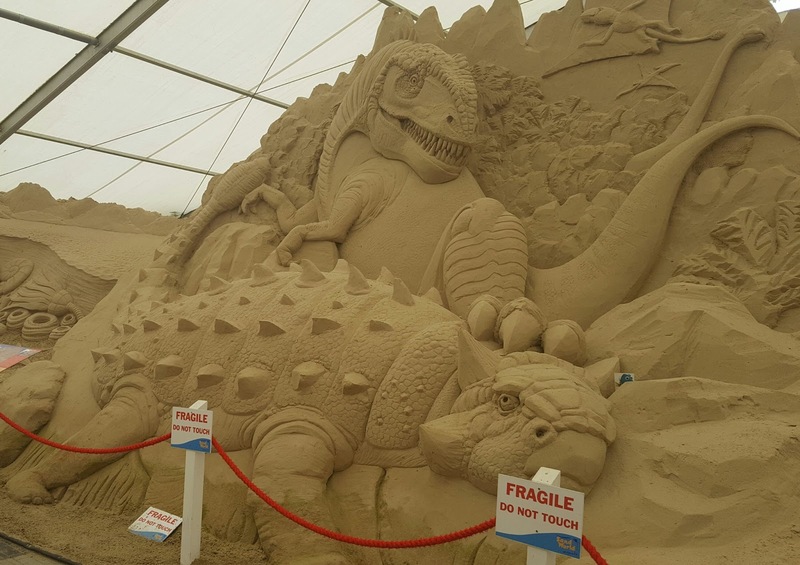 Each year you can see something new at Sandworld, if we happen to visit Weymouth in 2018 we definitely plan on coming back. I love Weymouth! Visited the sea life centre last time we went but will put sand world on our list for next time.